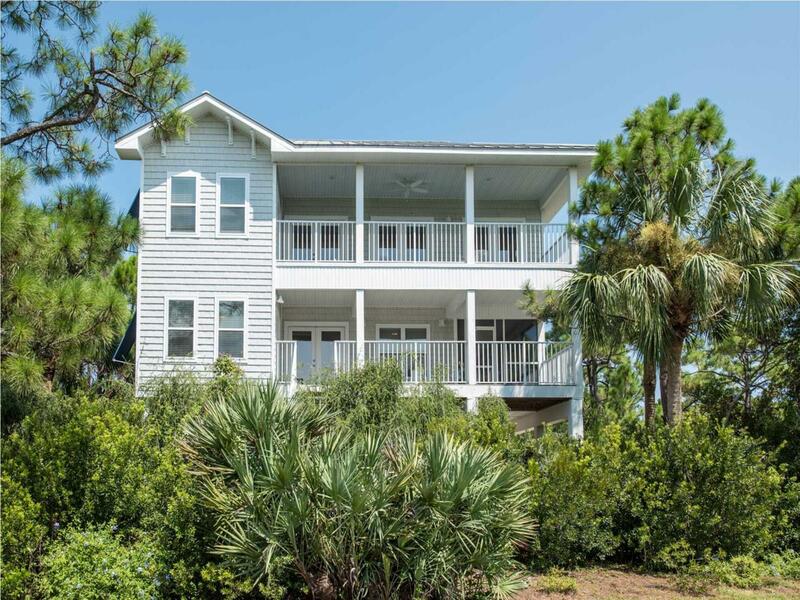 Privately situated at the end of a quiet court in St. George Island Plantation, a short walk along the adjacent beach path to the Gulf of Mexico and steps to miles of paved bicycle paths. This lovingly maintained and efficiently designed beach home features 4 bedrooms, 2 of which are Master Suites, 3 full bathrooms, a designated laundry room, multiple covered and screened decks and a bright and spacious great room with vaulted ceiling. Outdoor shower and fish cleaning sink conveniently available on the ground level after a long day on the beach or on the water fishing. This is a true second home, that was owner built and has never been on the rental market! It is being sold fully furnished and turn-key ready. Community amenities include 2 lap pools, clubhouse with fitness center, 3 tennis courts, private airstrip and gated security.